Paul E. Henry is the Principal of École secondaire du Sacré-Coeur in Sudbury, Canada. Well-versed in teaching at both the elementary level and the Secondary level, Paul has held his current position for 3 years. He has been involved in the Principalship for the past 15 years as a mentor, leader, coach and pedagogical instructor, with a special emphasis on alternative learning programs. He has taught elementary, secondary, university, and college-level courses, and his students boast a 97% average graduate rate from their programs. After receiving his Bachelor’s in Education from Laurentian University, Paul went on to earn his Master’s degree in Educational Administration & Sociology from the University of Toronto in 1992. Later, he was given an opportunity to study at Harvard, and graduated with a diploma in the Future of Learning (21st Century Learning Skills). Paul is very proud of his extensive work to build effective pedagogy programs for the 21st century, and hopes to build synergies with educators across the world. He has published numerous articles, and continues to gain international renown for his contributions to education. 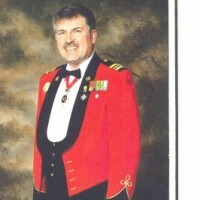 A Retired Major from the Canadian Army, Paul served in the military for 22 years. He has received decoration from the Canadian forces for his service, and was an Honorary Aide de Camp to the Governor of Kentucky (Kentucky Colonel). He found his military background gave him more than he anticipated, and has propelled him further in his life. As a Senior Staff officer at the age of 27, Paul was involved in an effort to help military personnel receive adult education through the distance learning education program. Retiring in 2009, Paul found the distance learning program experience inspired him to advocate for education and personal growth despite any barriers that a student may face.